After a year and a half, I am back in an office. Back to a steady salary and benefits, incl. health insurance. For the past seven months I have been applying for positions both here in Cairo and in the States. 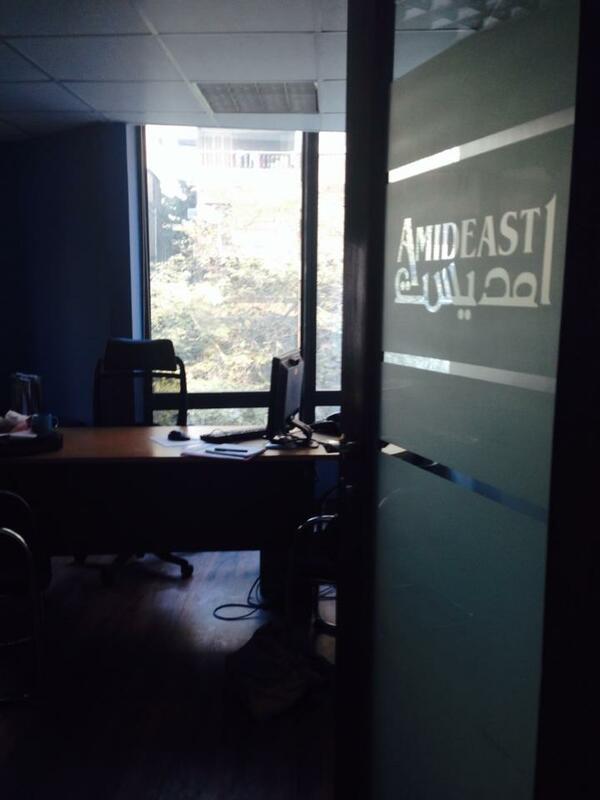 Many times I applied for different positions at AMIDEAST. Never heard back. Reached out to a colleague at their office in DC who said he thought they may be fully staffed here in Egypt. Went to a Christmas party at Fulbright last week with my fella despite some awful weather and schedule conflicts. Met the deputy country director of AMIDEAST by the cookie table. Joked about how many times I had applied and not been good enough. Went home from the party. Next day I got a call that I had an interview. A round 2 interview. Missed round 1 but the director had gone in her email and found my application in her junk mail. Ahhh. There you go. Lesson learned. Now I am the EducationUSA Coordinator at AIMDEAST, the American-Middle East Educational and Training Services, a non-profit organization working in connection with the US State Department, headquartered in Washington, DC with offices across the Middle East. I manage the advising program in the Cairo office and am the grant manager, supporting Egyptian students and residents (including Syrian and Sudanese refugees) to apply and attend college in the US. I run workshops, general information sessions, a Competitive College Club, resource library, recruitment events, individual advising and consultation, outreach, and events at the US Embassy and with Fulbright. My work supports students and scholars in all fields, mostly Engineering and Medicine, but my special focus is going to be a push in the Arts. Working in Egypt is a little odd. Firstly, all employees everywhere have to clock in and out, with an electronic card in our case. Every hour of your 40-hour work week must be accounted for. I detest this lack of flexibility, monitoring, finding it degrading to be looked at in terms of hours in the office; but I understand there is a way to clock out-of-office hours in the field and will be doing much of that. Secondly, there is no lunch break. Well you can take up to an hour for lunch but then you have to make it up at the end of the day; so nobody does it. I have a radio and a mini fridge in my office and plan to eat there. I also take 15-20 minute yoga breaks during the prayer time or a quick snack and visit by my husband. Thirdly, I have access to the organization’s car and driver. Imagine that. Lastly, I have to use up a vacation day if I want to take Christmas as a holiday. Like the Fulbright and diplomatic service, American staff at AMIDEAST are evacuated in times of severe political unrest. I had hesitations taking a 9-5: I will be honest. Questioning if this was on my career path. Then I realized this work is similar to that of the US Foreign Service; and after 10-12 months in the job, I will have been in Egypt for the length of time as a usual foreign service post. Please note that (if you remember) I failed the Foreign Service Exam by one lousy point back in June. Besides a captivating job, AMIDEAST provides benefits such as quality pay enough to save up a considerable amount for the future, FICA, health insurance for me and family, life insurance, access to equipment and services, great networking and access to opportunities internationally, connections in the Arts, travel back and forth to the States for visits and conferences (only after a year or two in the position), 21 days vacation, 12 sick days, and 15 holidays (mostly Egyptian). This is quite important, because I am also continuing to teach dance and volunteer for 57357 Children’s Cancer Hospital, including coordinating the big 57357 Arts Day at the end of next month and going with the patients to sleep-away camps. The job provides me with enough time off to volunteer and do short projects abroad, and to visit family. I am now working 7 days a week. This will be my schedule for the foreseeable future. It will take stamina and support. Luckily I have both. Growing up quick as 2013 comes to a close. Yes, you heard that right. 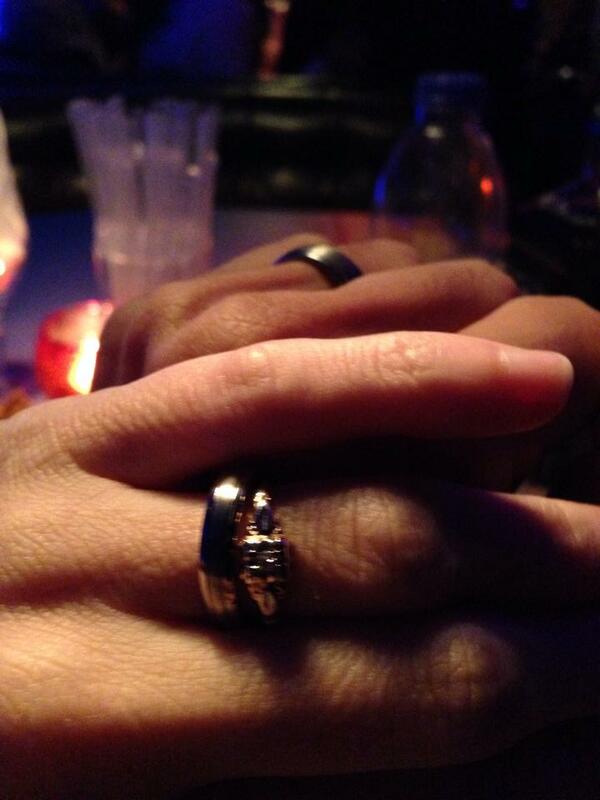 I got married. I said yes to a great man, an imperfect man, as I am an imperfect woman. Both artists. Together we say yes to our potential and to every darn day. We vow to have a marriage our parents, including mine who have been married 40 years, his strong mother and his dearly missed late father, would be proud of. So yes, I am a dancer back in the 9-5. But this is just part of a web of activity that makes me who I am am and makes more things possible. Watch out, world.